Was Weston riding?! GuyB grabbed Weston in Nashville to talk about rumors of him at Milestone this week and check up on his current condition. Recently, rumors that Weston Peick was riding again surfaced based on a photo on Instagram. The rider had all of Weston's gear and sponsors, but no name or number on the back of the jersey. Also, the Suzuki RM-Z450 in the photo had stock graphics, but you can see some aftermarket parts that also match up with the JGR team sponsors, including a JGR seat cover. 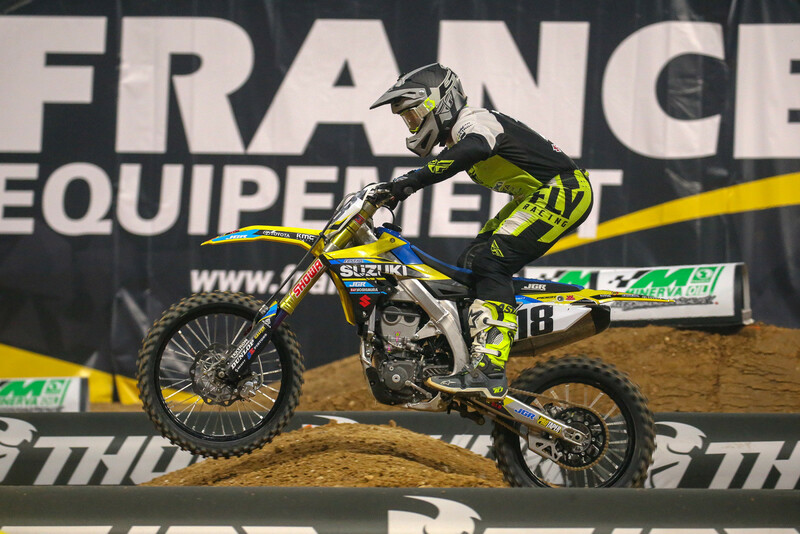 But, Weston Peick himself replied to the photo saying, quote "That ain't me," so GuyB decided to get to the bottom of it and had a short conversation with Peick at Nashville's Press Day before Saturday's Supercross race. The short answer is, yes, that actually was Weston riding at Milestone. Click the audio link to hear exactly what he had to say, his riding plans, and more on his current condition. Is there any rules on a minimum vision requirement to race an AMA event? I struggled with vision at different parts of my career, while using different corrective lenses and then after corrective surgery (never had optical nerve damage) and I can tell you that poor vision is no confidence is no speed. It is a HUGE part of the equation that we all take for granted. This is not a topic that is often discussed, but I believe vision is a key part of talent. I believe most all of the elite will measure 20/20. Does that mean they all have 'perfect' vision? Yeah, on the regular scale it does. But there is a difference between rider A with 20/20 and rider B with 20/20. Good for you Weston!!!!! Glad to see you back on a back on a bike. Hats off to Weston, it's hard to be sidelined from something you love to do. He'll make the decision one way or the other as to keep racing or not, hopefully he can come back and race at the level he was before this happened.